The whole world follows the principle “demand begets supply”. 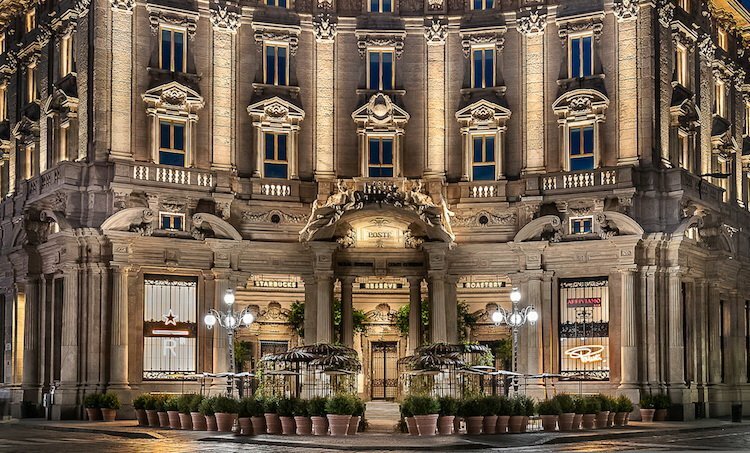 But there are some famous fast food-companies and coffee-shops, which have changed this rule – they attract customers with architectural atmosphere. 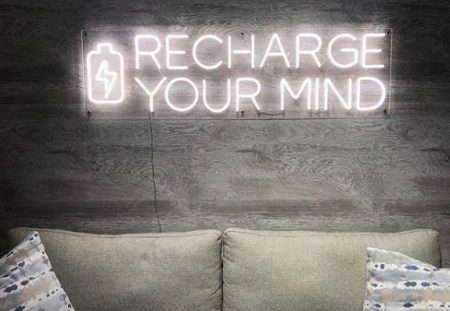 We would like to introduce you the most unusual, exceptional and non-traditional coffee-shops – the leaders of the world gimmick. Switzerland is the most detail-oriented country in the World. That’s why the local Starbucks franchise decided to combine accuracy, time, space travel and coffee doping as a whole. 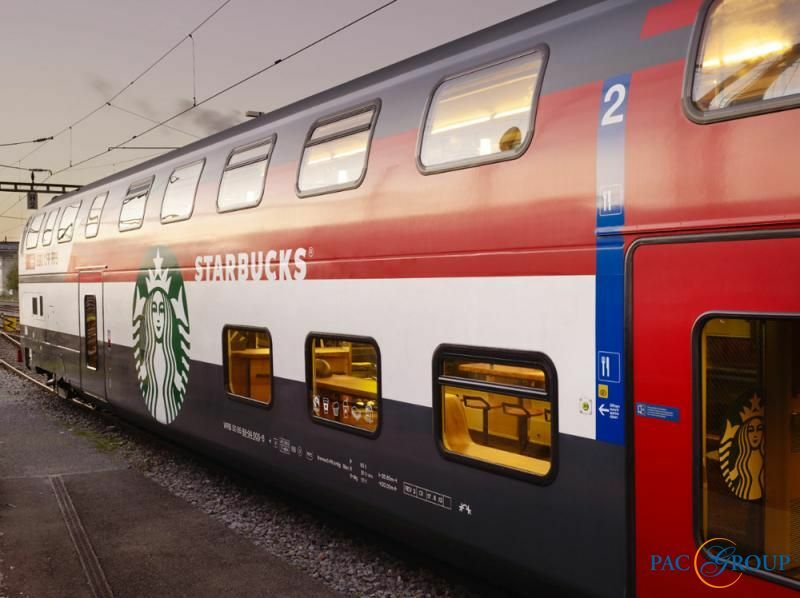 Switzerland is famous for its Starbucks-wagon, which travels from Geneva airport to St. Gallen. This wagon accommodates 50 people, who can settle down on two floors. The first floor is for people, who pass one station, they can buy snacks and coffee to go. 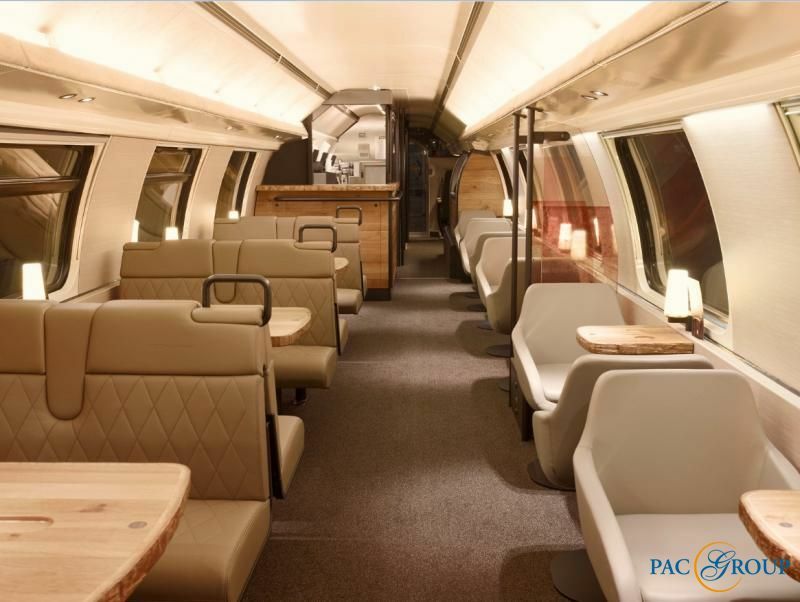 The second floor offers comfortable leather seats and laptop tables for longer trip. The most interesting detail-you can’t reserve a table. Italy is regarded as the birthplace of espresso, where the serving and quality of coffee are considered to be one of the best. Starbucks franchise hesitated for a long time to open its coffee shop, because high competition could suppress the income. The-art director chose an old post office building that catches the eye of all tourists: doric columns, the classic window design, statues of ancient gods, that “guard” the entrance. 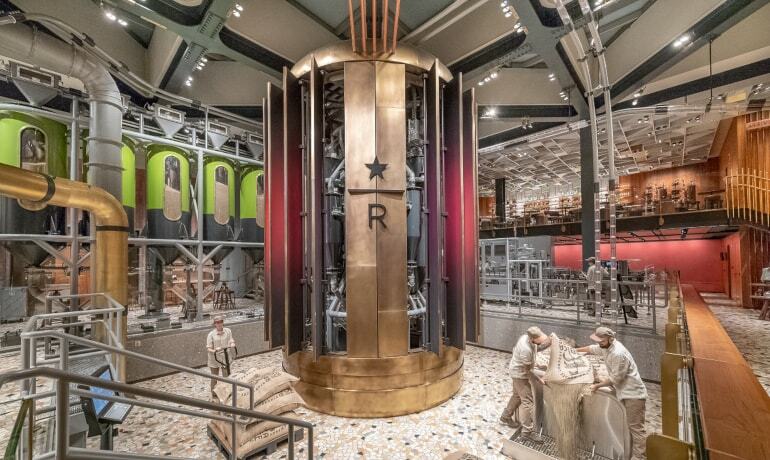 This coffee house is a roastery, where coffee flavor is a “bait” for visitors – that was intended by Liz Muller, the Starbucks interior designer and art director. 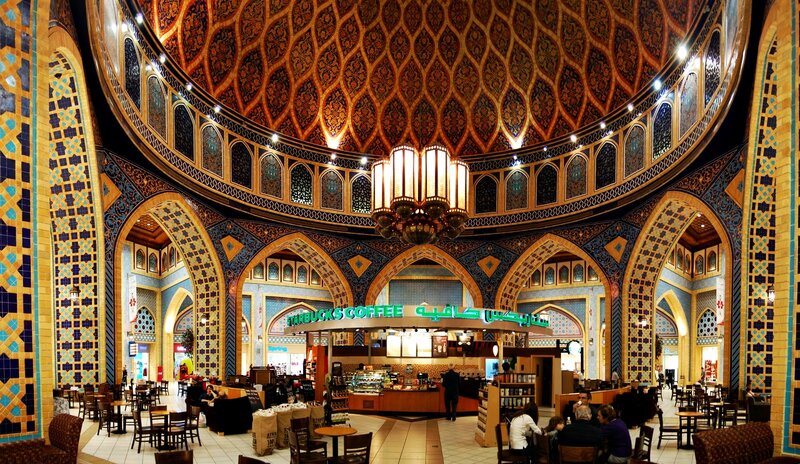 The coffee shop in Dubai is the one of the most expensive projects by Starbucks. Huge Persian-style chandeliers illuminate the hall, carved arches, mosaic walls, braid gold and tables, made of the most expensive oak species. The architect had an idea, that not only decor would attract the customers. Customers would also like multi-colored lamps and the effect of light, that create a completely different space and color range. Here you don’t overpay the percentage cause of beautiful decor, as it’s in many other restaurants stated. Pricing here is pretty loyal. Kengo Kumo Bureau has always been distinguished by its originality in building design. And that’s one more time, when the architects surprised the whole world. 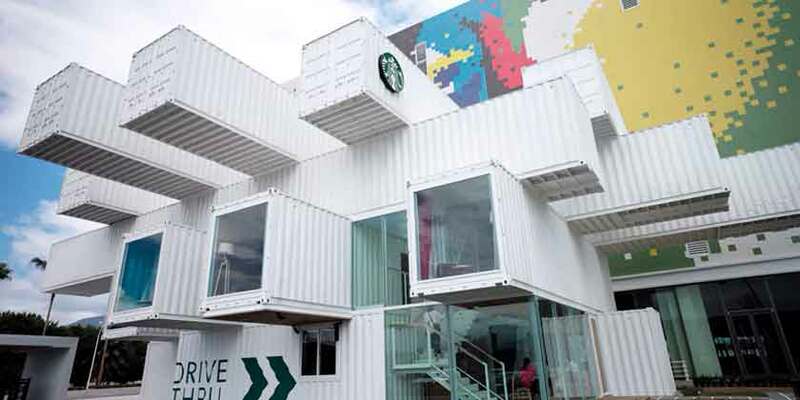 The design team used containers as the building façade – this coffee shop became a versatile art work. Each unit has own style. You can choose a table with a beautiful view of the mountain range and the sunrise. Architects painted the walls with letters and drawings of local Aborigines specially for visitors, who feed on the sacral energy. 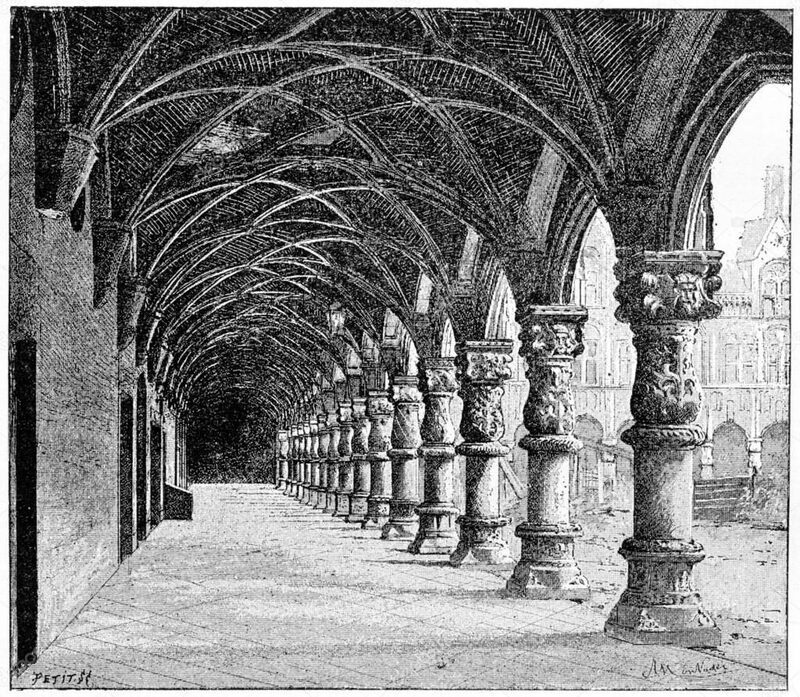 These walls can be considered as a cultural value. 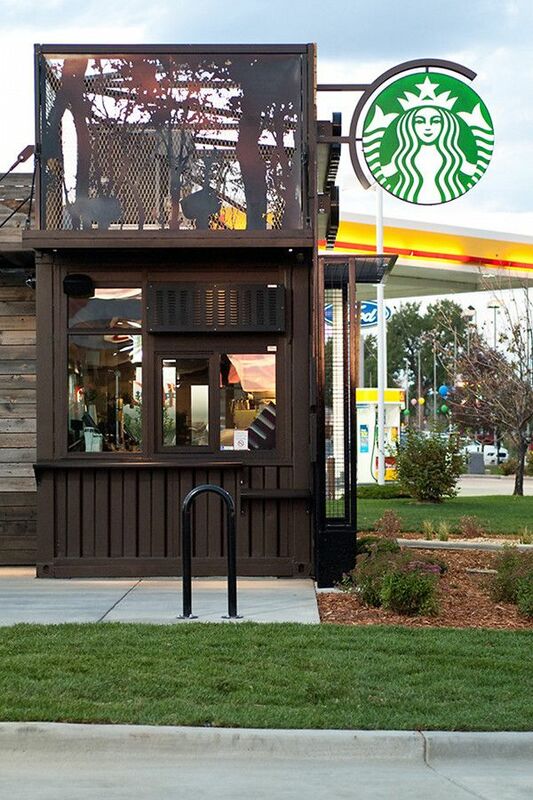 The first experimental LEED-coffee shop appeared in Colorado. There you will find no tables or banal sofas. 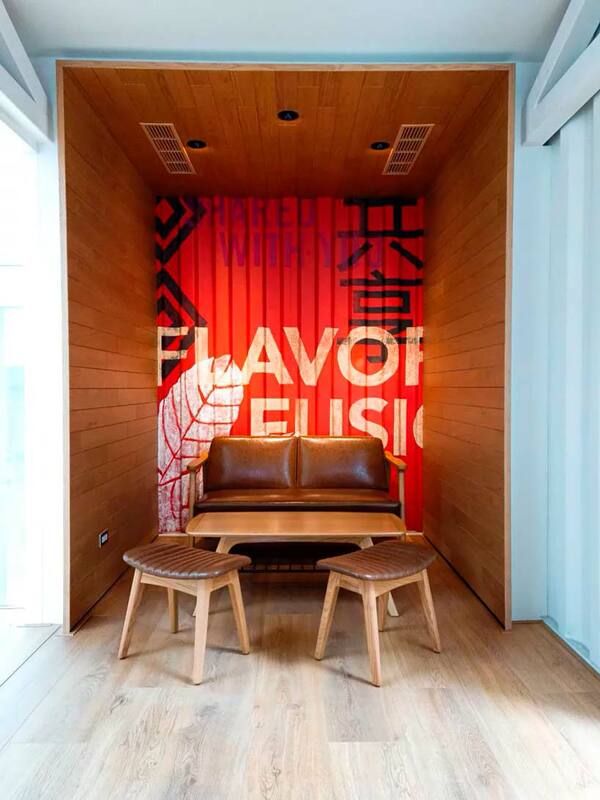 This is a small space for coffee or snacks – take and go. Not only pedestrians, but also drivers can buy products – there are no restrictions in the queue. 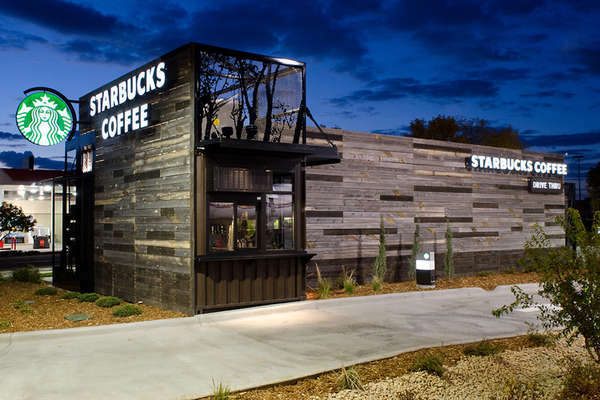 These pit-stop-coffee houses are built in the style of country: the design team used different types of trees, rough boards, that stand out from the usual style and attract customers. 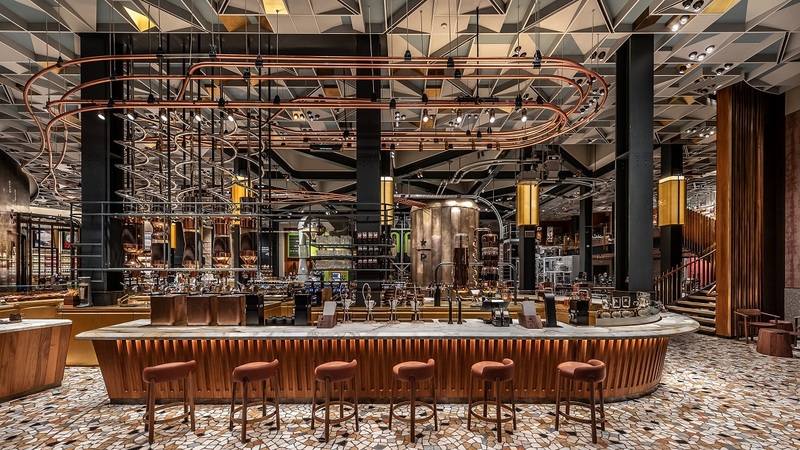 The architects created this coffee shop deliberately: everyone, knows, that you can take a drink in a cafe, sit down with friends at a table or just work. We get used to sit inside, and Starbucks wants us to enjoy delicious coffee and the beauty of nature. We just introduced you the necessary minimal changes in a marketing duration concept for global companies. 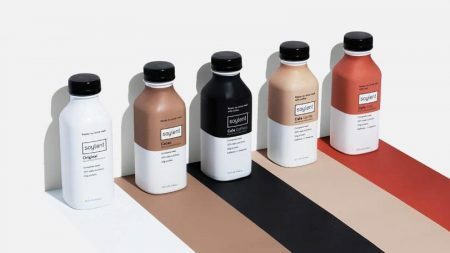 Rebranding is an inseparable part of income stimulation, it also affects on the attraction of a new target audience and improves production process in all. These changes were caused by widespread globalization and the involvement of people in the cultural masses. 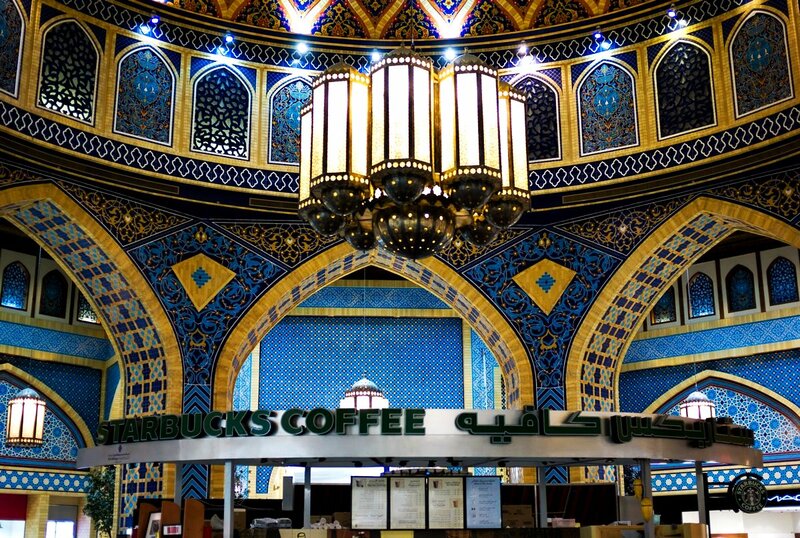 Starbucks focuses on the local target audience and the flow of tourists, so it has archetyped the external and internal design, that cause an intuitive cultural level interest. The basis for increasing income in this case is not a consumer product, but an artificially created atmosphere and architectural style that brings the subconscious attraction of the customer. Posted in News and tagged architecture, coffe, coffee and tea, modern, Sturbacks. Bookmark the permalink.